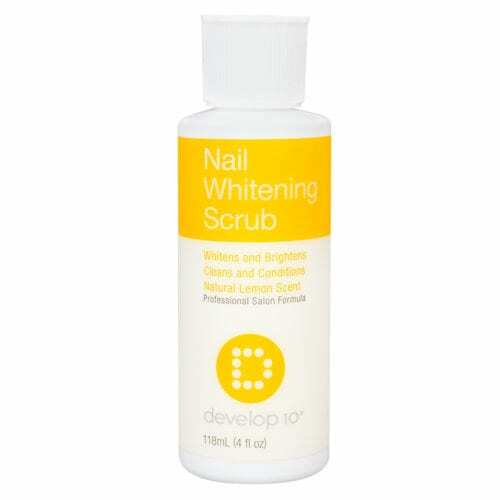 Develop 10’s Nail Whitening Scrub whitens & brightens and cleans & conditions with a natural lemon scent. Directions: Shake well before using. Apply Nail Whitening Scrub to underside and surface of nail, massage into nail 30-45 seconds and scrub with a damp brush. Rinse thoroughly. Repeat -4 times a week for the first week. 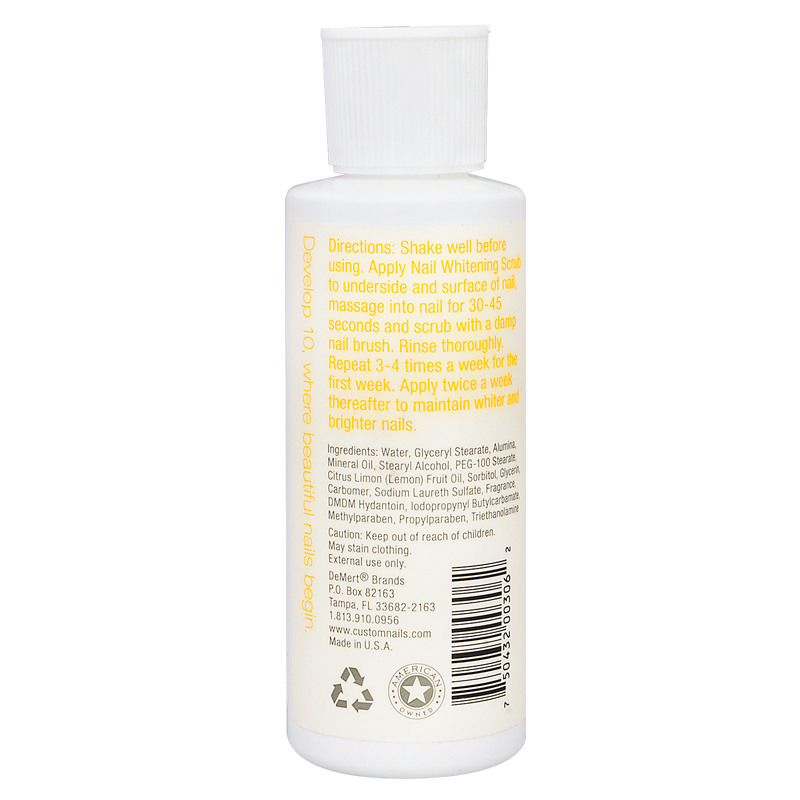 Apply twice a week thereafter to maintain whiter and brighter nails.